Tampa Palms is one of North Tampa’s largest planned communities but, by design, it offers the feel, convenience and amenities of a close-knit town. With a wide variety living opportunities from convenient townhomes and condos to family homes that offer the backdrop to raise happy, healthy kids, to truly luxurious estates, Tampa Palms real estate offers a great living opportunity for all homeowners. Great North Tampa Location: Although residents can feel miles away from the city due to the area’s plush landscaping and shady avenues, Tampa Palms is located just a mile from the I-75 exit at Bruce B. Downs Blvd., just 25 minutes to the Tampa Airport and/or Downtown, and is located just a short drive from the University of South Florida, the Moffitt medical facilities, local churches, offices complexes, shopping, dining and more. Wide Selection of Properties: Tampa Palms is a master planned community with neighborhoods and unique villages offering a wide range of property types with pricing and selection to meet any need. Within the Tampa Palms community buyers will find townhomes and single-family custom homes along with truly luxurious estate residences. Amenities for All Interests/Tastes: For recreation Tampa Palms is unbeatable offering world-class golfing at The Tampa Palms Country Club, beautiful community parks, pools, tennis courts, racquetball, volleyball, and basketball courts. And, for those craving the true outdoors, Tampa Palms offers immediate enjoyment of multiple rustic parks including River Park which provides direct access to the Hillsborough River, trails, camping, picnic facilities, and more. 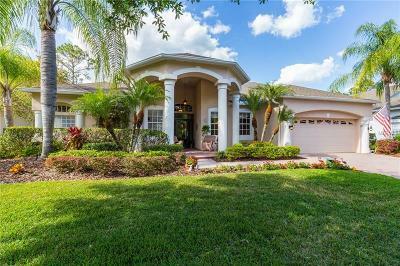 Given the location, selection and amenities of the community there will be no shortage of motivated buyers when you list your Tampa Palms home for sale. Families: Even with the benefits of a large overall community, the way Tampa Palms was planned and developed with the tree-lined streets and friendly neighbors creates a true, small town feel. 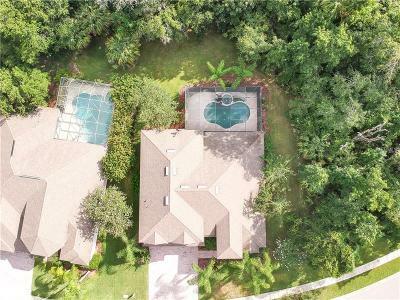 Schools (Chiles Elementary, Tampa Palms Elementary, Liberty Middle School, Freedom High School, and numerous private options) and the many parks are within walking distance or just a short drive from home meaning that your kids and their friends can live, learn and grow up together in a great neighborhood. Professionals: Tampa Palms delivers easy access to USF and its medical facilities, North and New Tampa business hubs, and also a direct route to Downtown Tampa. The quality of life, great amenities like world-class golfing, and the wide selection of premier properties make Tampa Palms a destination that delivers for professionals.